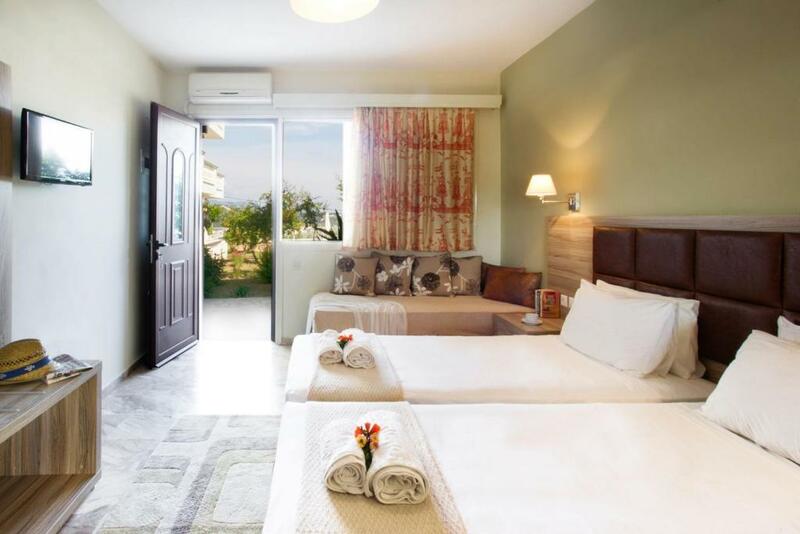 The apartment was excellent value for money with a very comfortable room and amazing views across Skiathos town. Ellen was also a great host and made us feel very welcome from the minute we arrived. We liked the location and it was only a 10 minute walk into Skiathos Town but the apartment is on a steep hill though we didn't mind at all as it was actually quite nice being a bit further outside of the main town. The views from the property were spectacular. The owner was very friendly and helpful and spoke good English and her dog was delightful. Easy walk into Skiathos town, about 15 minutes. Self catering was a bonus. Wonderful views. Relaxing pool area. Spacious room. Close to town. 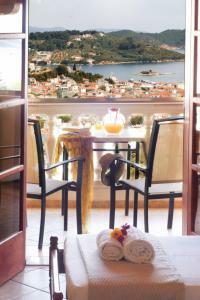 Location with a nice view on Skiathos city. Nice staff. Lovely pool area. Owner very friendly and helpful and the property is in a great location for visiting all that the island has to offer. Rooms are basic but spotlessly clean. The view from the pool area over the island is lovely. Very quiet location. Air conditioning in the room is a welcome relief from the heat! great views,just a bit of a hill walk to property,but clean and good pool,some apartments have been modernised,unfortunatly we were in one of the older ones. The room was beautiful, modern and very clean! 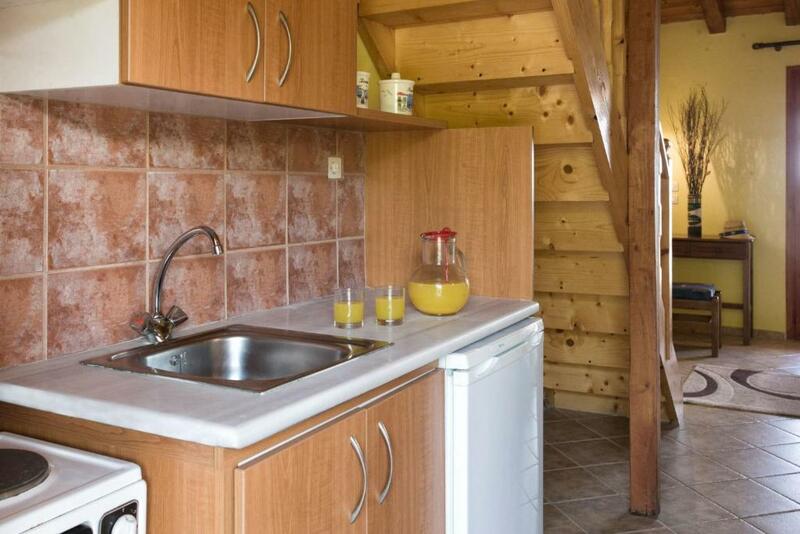 It had a cooker, sink and fridge which was all very useful (also included plates and pots etc). We had an amazing view from our balcony. Also had a lovely pool out front, which was a nice touch. Overall it was a gorgeous spot to stay in, the staff were wonderful and the accommodation was good value for money. Also great distance from the dock/port where all the restaurants are! We had a wonderful stay at the hotel. It's very cosy with great staff/owners. We had THE most amazing view! At no moment we were unsatisfied. We'll definitely book again. Our studio was in a very good condition and was very spacious. Blue Horizon Studios is the perfect spot to relax, tan, swim - secluded from the more crowded town centre. Amazing views of the old town from the room and the balcony. Very friendly staff and each room came with a little kitchenette with fridge. Pool was never too busy and always got a sunbed! Lock in a great price for Blue Horizon Studios – rated 8.2 by recent guests! Blue Horizon Studios enjoy a privileged location only 10 minutes away from Skiathos Town, in the area of Agios Fanourios. Megali Ammos Beach is 1,300 feet away. The complex features 16 fully equipped studios, offering comfortable space and privacy. Each has a fridge and a kitchen. Guests have full access to the pool and the pool bar where they can enjoy various snacks, as well as a wide variety of refreshing drinks, cocktails and ice creams. 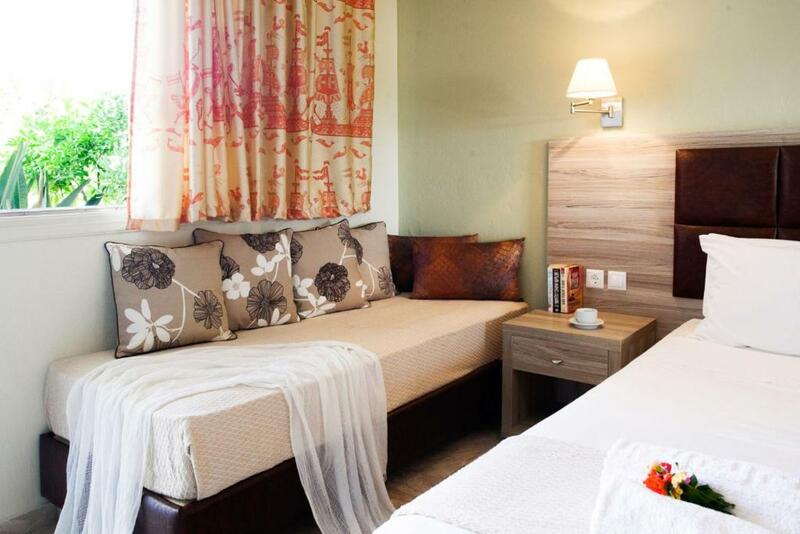 Blue Horizon Studios provide easy access to beaches, supermarkets, restaurants, cafes and bars. Island's airport and port are within 1.2 mi. 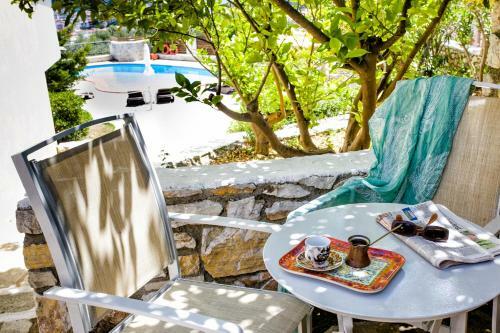 뀐 Located in the top-rated area in Skiathos, this property has an excellent location score of 8.0! When would you like to stay at Blue Horizon Studios? Featuring a private balcony, this air-conditioned studio comes with a kitchenette with fridge, cooking rings and an electric oven. A TV and a safety deposit box are available. Private bathroom comes with a bath or shower. 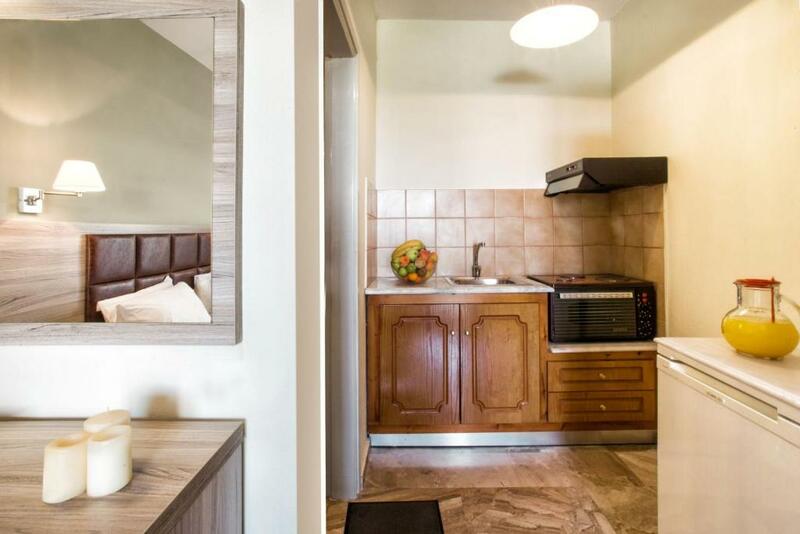 This air-conditioned studio offers view over the town of Skiathos.Divided in 2 levels, it comes with a kitchenette with fridge, cooking rings and an electric oven. A TV and a safety deposit box are available. Private bathroom comes with a bath or shower. 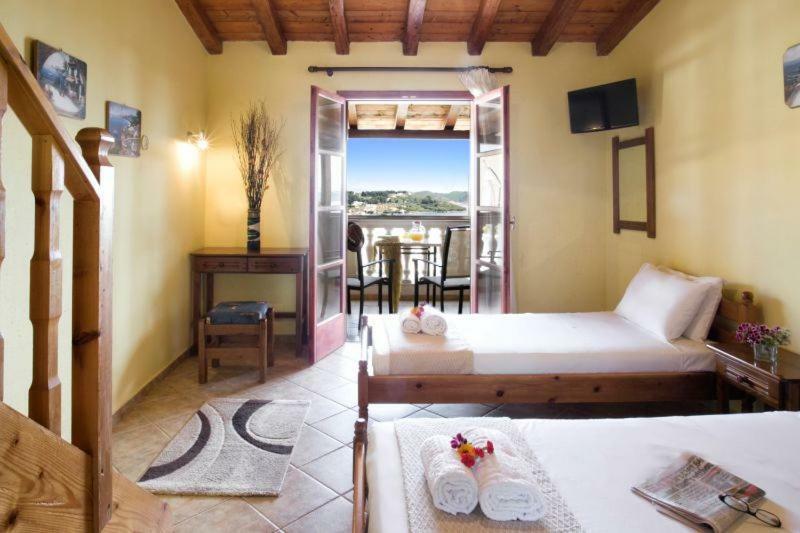 This double room has a balcony, kitchenware and sea view. Welcome Our Apartments & Studios in Skiathos Blue Horizon Studios & Apartments are located in the area of St. Fanourios, a stone's throw from the beautiful town of Skiathos Island. It’s a wonderful family run guesthouse for rent, with a variety of furnished rooms. These studios and apartments are ideal for families with young children, groups of friends or for couples planning a romantic retreat. All will be able to enjoy their holiday in a friendly complex of Skiathos town apartments, surrounded by the natural beauty of the island. Nearby Skiathos old Town gives the opportunity to explore all corners of this beautiful island by bus or water taxi. The experienced and friendly staff of our studios and apartments is always nearby; ready to offer their prompt services with a smile, personal care, responsibility, and professionalism. Skiathos Blue Horizon studios and apartments is a "home away from home" and we look forward to welcoming you and making your stay relaxing, and memorable. Blue Horizon Studios & Apartments are located in the area of St. Fanourios, a stone's throw from the beautiful town of Skiathos Island. House Rules Blue Horizon Studios takes special requests – add in the next step! Blue Horizon Studios accepts these cards and reserves the right to temporarily hold an amount prior to arrival. The only complaint was that the oven in the room did not have a shelf or a grill pan, so no toast. the room could be cleaned better! Steep hill up to the studios! Views, views, peace and quiet, 10-15 mins from town. Near a bus stop. The facilities were old and very basic. It was advertised as a studio but really it consisted of a room with a small bathroom. Very basic kitchen/cooking facilities and equipment. Apartment was very clean and comfortable. Steep hill to studios if walking but it is worth it to be out of the town area making it very quiet with amazing views. Kitchen area is a little too basic, a toaster and a kettle would be helpful as well as a few more plates. The hill leading up to the property is VERY steep and probably takes around 5 minutes to walk up. If you’re relatively fit then it’s not too bad, nicer at night when it’s a bit cooler but during the day it’s tough going in the heat especially if you’ve made a visit to the supermarket and have bags with you. Definitely not recommended if you have a pushchair, small children or anyone with mobility issues unless you plan on hiring a car or getting taxis to and from the property. hill up to property,but views make up for it. We read about the hill in reviews and thought we’d be okay because we’re used to our hills in England but it is very steep! Would say it did get better after a couple days, got a bit more used to it. However do be prepared for it! This property is for young people with low standard! We were given a dark almost blind room that they forgot to clean most days! Towels were missing and it was clear the hotel couldn't cope at full occupancy! I booked at the last minute and no other places were available but very poor property really! Most suitable for people on a budget but you ran the risk of staying at ground floor rooms which are randomly allocated and not good at all. Very poor facilities, the bathroom was not modernized, not that clean either. Even though i requested one double bed, I was given two single beds united in one. While sleeping, the beds would move away from each other, leaving a large space which was very uncomfortable. If you dont rent a car, an atv or scooter,its a nightmare to move between city centre and the pension or anywhere around the island.